I recently read a great, short New Yorker piece by Priya Krishna: The Indian Filmmaker Who Made His Dad’s Village Cooking a YouTube Sensation. Arumugam Gopinath decided to make videos of his father Jaymukh cooking huge meals in Tamil Nadu, rural southern India. For me this has much the same appeal as the Primitive Technology series: it’s about process but also documents a different culture. These videos and many others have been viewed millions of times on YouTube, mostly from people outside of India and have earned the family more than seven million rupees (close to $100,000) in advertising revenue. Dave Koerber on the Appalachian Trail. I’m sad to report that my good friend Dave Koerber passed away yesterday. 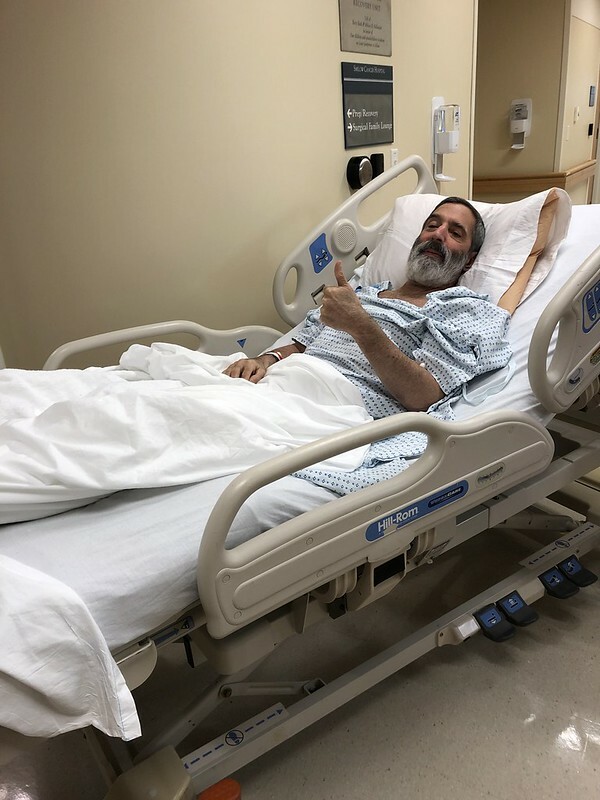 Dave had triple bypass surgery a little over a week ago and came through the surgery extremely well. He was recovering and was at home when he had a stroke and died a few days later. 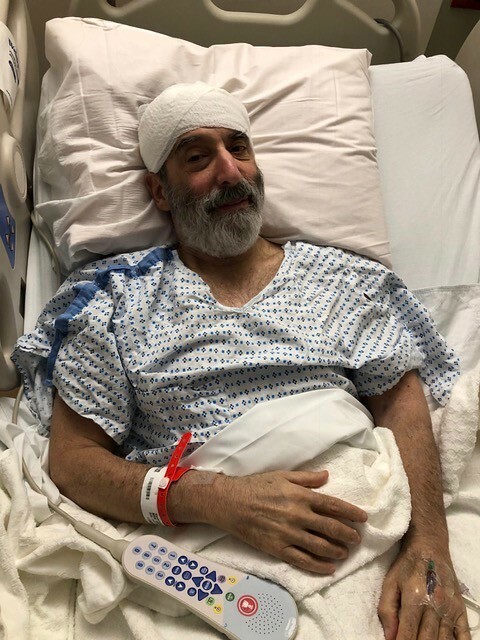 I talked with him a few hours before he had the stroke and he was in great spirits, anxious to get back out on the trail. This is a great shock to me; Dave and I had gotten close over the past few years and we enjoyed each other’s company, hiking and doing trail work. In the summer of 2012 I was hiking down the Race Brook Falls trail in southern Massachusetts and ran into three members of the Berkshire (Massachusetts) Appalachian Mountain Club. They asked me if I’d seen the log bridge that crosses Race Brook above the falls and what shape it was in. In fact, the bridge was broken and hikers were crossing Race Brook in the water, which is what I told them. They told me who they were and that they were going up to scout out rebuilding the bridge. This sounded interesting to me so I asked if they needed help. They said they’d love help and we exchanged contact information. It took numerous trips up the Race Brook Falls trail to rebuild the bridge which was a wonderful experience. The leader of the project was Jim Pelletier who was the head of the Berkshire group at the time. Dave Koerber was on many of these trips although I didn’t know him as well at the time. Dave Koerber (left) and Jim Pelletier lifting a hemlock log that will be half of the new Race Brook bridge. After we finished the bridge I was asked to become the maintainer of the Race Brook Falls trail which is a “blue trail” which connects up to the Appalachian Trail in southern Massachusetts. Never having maintained a trail I needed to be trained and my trainer was Dave Koerber, the Overseeer of all of the various maintainers from the Connecticut/Massachusetts border to an area just above Great Barrington (the bottom third of the state). Dave on the AT near Mt. Everett, Massachusetts. Dave on Mt. Everett, Massachusetts. Dave taught me how to build and repair water bars, how to blaze, how to clear blowdowns and a lot more. I was also learning from other members of the Berkshire group but Dave was my direct “boss” as he oversaw my section of trail and we spent the most time on the trail together. And, he was retired as I am so we had time to get out on the trail mid-week to avoid crowds. He was an excellent teacher, he knew more than I did but he allowed me, a person with plenty of outdoor experience to try whatever I wanted and if my way was better than his way, he was glad to adopt my way. Dave (left) and Dave McCullough crossing a beaver dam at Pine Swamp in Connecticut. Dave and I enjoyed doing trail work together over many years. But, we also enjoyed just being out hiking or snowshoeing together and if both of us were around and one called and wanted to get out, we’d make it happen even though we live a good distance from one another. It was easy to meet half-way but I was glad to hike nearer to him and he came down to Connecticut to hike trails I maintain down here as well. Three years ago another section of trail opened up, the Appalachian Trail between Sage’s Ravine (the Connecticut border) and Mt. Race. This is one of the most scenic sections of the AT in southern New England and I decided to move from Race Brook Falls to maintaining that section, which I still maintain. This section was also under Dave’s leadership and so, not much changed between us. Dave helped me get set up on the section and we did a lot of work on it over the past few years. Dave and Loren Kahn on the south ridge of Mt. Race (my new section of Appalachian trail). Dave and I were on opposite sides of the political divide and while politics certainly came up on our hikes, we both decided that while those issues were important, it was more important to remain friends and get out on the trail where political issues can easily be put in a box and tossed aside. We did that successfully over many years and while I guess I played a part in making that truce, he was so good-natured that it was easy to like him no matter what he thought about anything. Dave was a great hiking partner and friend and I miss him. I guess the best medicine for this is to get back out on the trail but of course, I’ll miss him there too. Dave crossing the Race Brook bridge in winter. This is the bridge we rebuilt years earlier when I first met him.